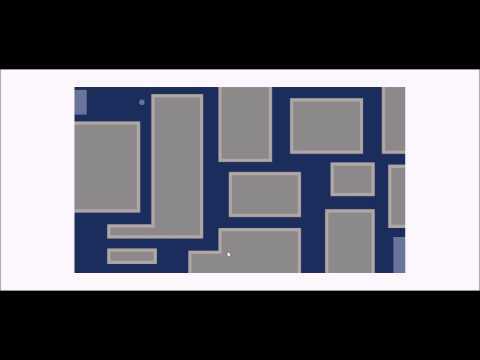 One Dot - A Minimalistic, and Challenging Puzzle Game — Welcome to the GameSalad forum! August 2015 edited August 2015 in Announce Your Game! is it on the google play store? I really like the graphics btw! Simple & clean.. great background music! @http_gamesalad I already had it on the play store, but I needed to change the name so I had to republish it so it's not on the store yet, it just has to process. Ill be sure to tag you when I post the link to it! And as for the music I just found it on a free music website. And I also made all the graphics myself in photoshop and illustrator! btw , how many levels is this? @http_gamesalad The link to the app is up now! This looks really fun! Reminds me of hacking in the GTA heists. I'm really good at those so I'll probably like this game. Will it be on iOS? @HonestGameSalad Probably not for a while, I'm testing the waters with some games at the moment to see how they do. It only cost a one time $25 for android so if i see a couple hundred people download my game I'll try to put it on iOS. But thanks for the feedback too! @http_gamesalad Thank you so much for the feedback! I'm gonna focus on the endless runner mode for right now, I've been thinking over how I'm gonna do it and I think it's gonna be good. Thanks for the great idea!